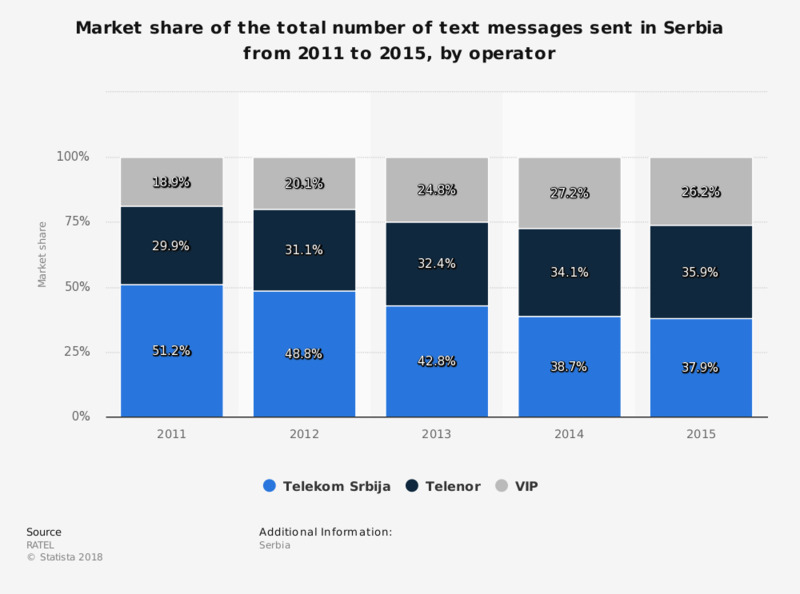 This statistic displays the market share of text messages sent in Serbia from 2011 to 2015. Telekom Srbija was the market leader in terms of the number of sent text messages over the given time period. However, it experienced a loss of approximately 11 percent of its market share. Coming in second is Telenor with a total of 35.9 percent in 2015. VIP saw a steady increase and stood at 26.2 percent as of 2015.